Well lets start with our weather. Our weather keeps coming down, and by the time we arrived to Alijos rocks, it was flat, like a lake. The weather was not the only thing that was good today. We had a good day of Wahoo and Yellowtail fishing. 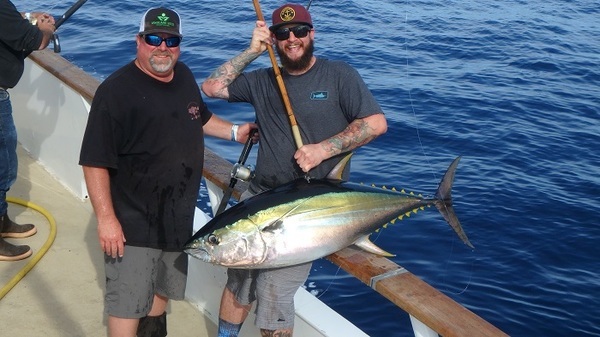 The surprise was the Yellowtail are starting to bite out here. The grade is beautiful, with most of the fish in the 22 to 35-pound range, with some going to 40. The Wahoo is also a beautiful grade of fish, with most in the 30 to 45-pound category. 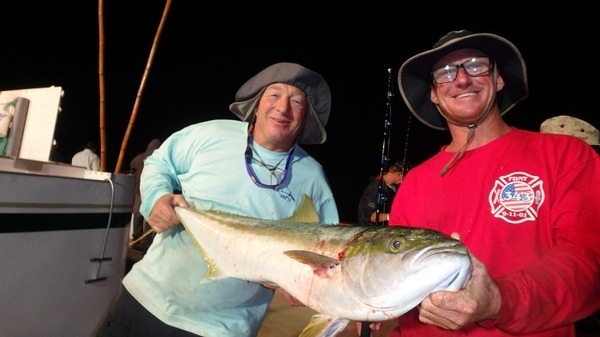 We caught a few mackerel for bait, and we are still catching Yellowtail in the dark. Who knows how long this will last, but we will let you know tomorrow. Until then wish us luck, team R/p.